There are three versions of DLPAL: DLPAL S, DLPAL DQ and DLPAL LS. 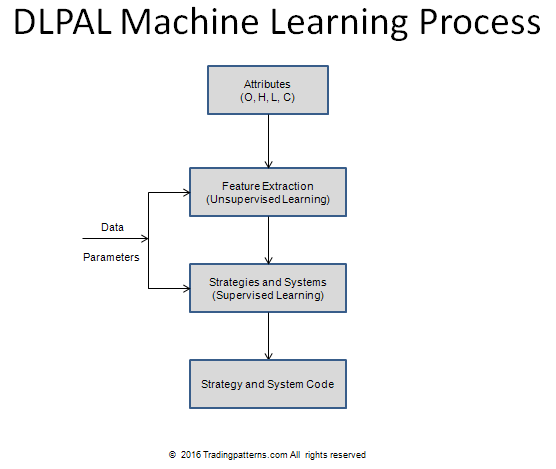 DLPAL LS uses primitive attributes of price action, and specifically the open, high, low and close, to extract features types in an unsupervised learning mode based on general feature clusters. Then, the program uses the extracted features in supervised learning mode to identify long and short candidates in a universe of securities. The long/short identification is based on a set of calculated features and the user has flexibility in ranking the results according to their values. The output of the program can be saved in csv format and can be used in conjunction with trading platforms to automatically execute trades. For more details click here. 3. 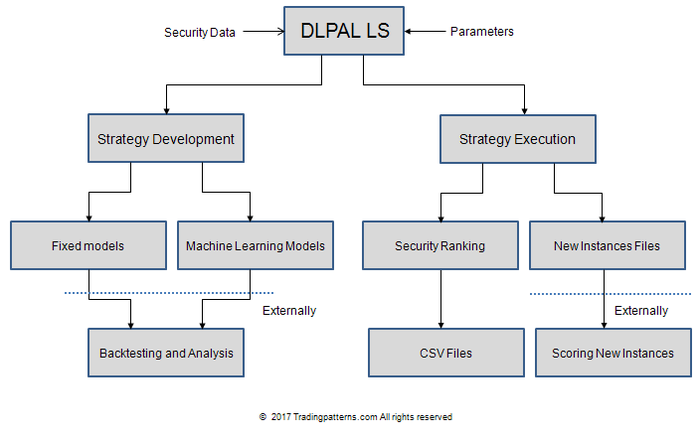 DLPAL does not use pre-programmed strategies as it is the case with some other commercial programs that work based on a database of patterns they apply on each case. DLPAL determined patterns from price action. 4. DLPAL S is absolutely free for two months. The program user can generate unlimited strategies and test them in the platforms the program generates code for.